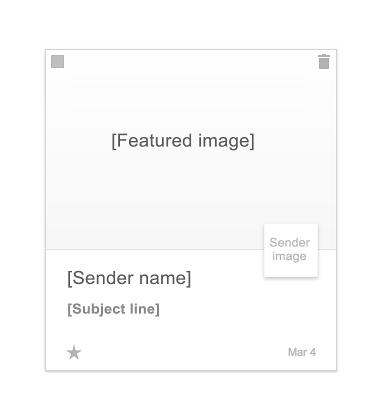 Blog / Gmail’s Gridview: Images are More Important than Ever! Google has been making waves recently with their updates to Gmail, most notably the introduction of the Promotions tab that got all us marketers in a tizzy. On March 25th, 2014 Google announced a new update, called Gridview. Finally, Google has released an update that most marketers are actually excited about! 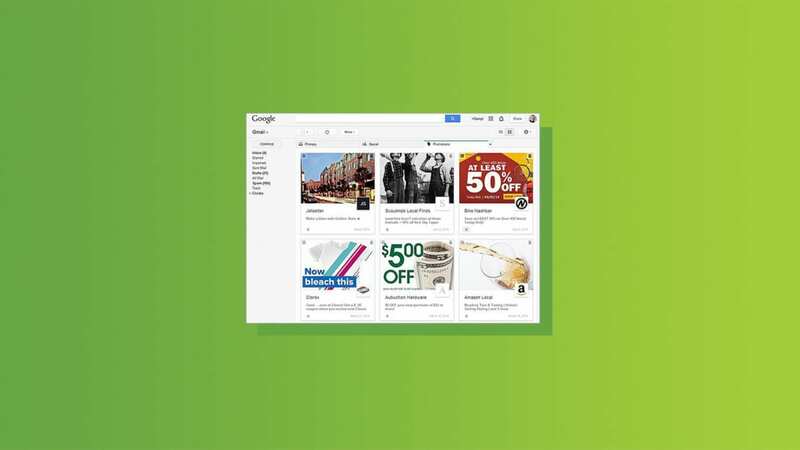 For a quick recap, Google’s Promotions tab introduced a “Gridview” that utilizes images to help users decide which emails they want to open and which they want to trash. Sneaky, sneaky how they added that little part about requiring a Google+ page if you want to optimize your viewer’s experience! Coincidence? I think not. The traditional formula to optimize your open rates has always started and ended with crafting a “perfect” subject line. According to a Fall 2012 study by MarketingSherpa, 72% of marketers test subject lines. That makes it the most popular email element to test, but that might change if Gridview really takes off. 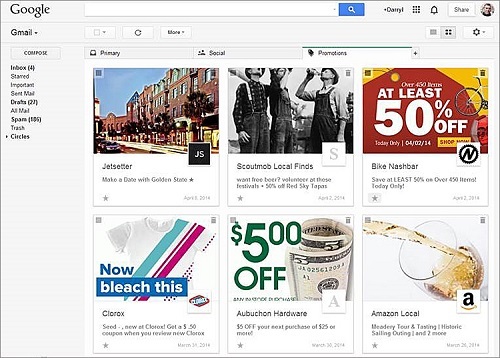 With Gridview, Gmail’s Promotions tab has morphed into a Pinterest-style inbox, turning the subject line on its head. This is a game-changer for us marketers because we no longer have to rely only on subject lines to grab the reader’s attention. We now have an opportunity to visually convey our promotional message BEFORE a reader opens an email. This gives marketers more ways to make their message stand out, and more ways to creatively capture readers’ attention. Leverage what worked and what didn’t in your subject line tests and apply these theories to begin optimizing your featured image. So what do you think? As a marketer is this something you are excited for, or just another monkey-wrench Google has thrown into the mix? Is Gridview just a fad? Gridview is not a permanent fixture in your Promotions tab inbox… yet! It’s still in a trial period, which will most likely depend on ad revenue. When the promotions tab was introduced, ads in the inbox were also added. What the Gmail Gridview does is integrate these ads more slyly and subtly into your inbox. Check out the screen grab below that shows a Promotion inbox. Would you have known the first message was an ad? This is a screen capture of Zettasphere’s blog. It’s safe to assume that if this new view ramps up revenue for Google Ads, Gridview will be here to stay. As a marketer, I certainly hope to see this layout succeed. Being able to utilize images to increase the power of promotional emails is not only inspiring, but also a huge step forward for the future of email marketing. If you want to see how it looks in your Gmail account sign up for the trial. So what do you think? Is this nothing more than a fad, or a brilliant move on Google’s to push email marketing (and their very own ads, for that matter) forward?